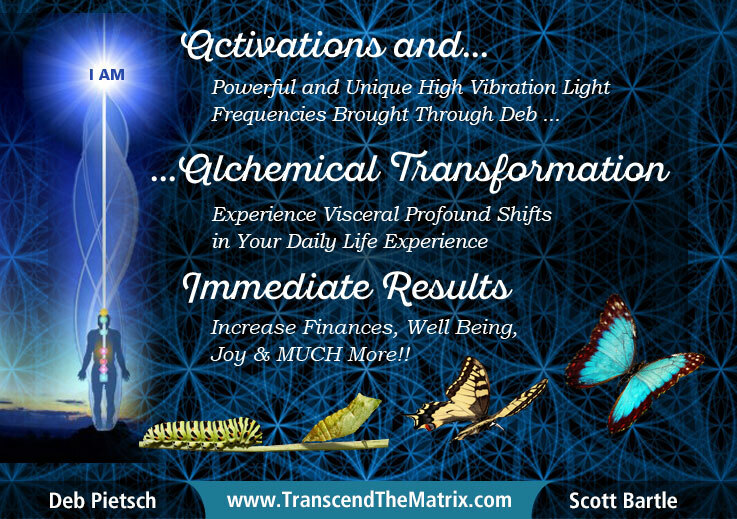 Through many years and literally thousands of hours of tuning in, being in an altered state (a lot of it while in isolation) , up-levelings, clearing my own personal filters and being willing to act on the guidance I receive telepathically, I have the ability to be an “Activator”. Sounds crazy, until you experience it! The energy that comes through my voice and through my Activations is very high vibration LIGHT. This energy works very powerful to ignite, accelerate, transmute (only a few examples) whatever the focal point is and / or what is in your Highest Good to be addressed. I have been taught how to work multi-dimensionally and with holographic fields. For example if you have a an issue, wound or program that is still not transmuted or is still becoming triggered with certain situations, I can Activate and transmute the point of origin so you have still have the memory, but you are not enslaved to the trigger…it becomes a non-issue. Literally over the years, the most common feedback is that people have never experienced anything like it nor have had the profound, fast, transformative results than from either a private session or even group work through the retreats. 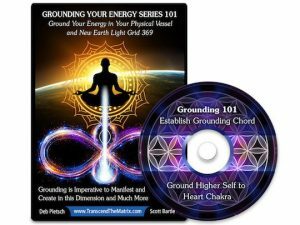 The other aspect of my energy field is that when I’m talking to someone, especially when they’ve asked for assistance (and I’ve asked permission to tune in to their Higher Self-this is absolutely mandatory), in just talking with that person, what commonly occurs is that the Light I hold, along with the Unconditional Love, Activates their shadows, their hidden emotional blocks, unfinished business so to speak, to come to the surface…often revealing surprising emotional experiences. I’ve been know to lovingly “make gruff grown men cry”! Because I’m holding a space of non-judgment and unconditional love, which, along with the Accelerated Light, holds a SAFE space for unique vulnerability. It’s quite amazing. I hope this all helps and makes sense…I’ll share more about how and what I do via the webinars, interviews and shows. Needless to say, it’s very, very unique, powerful and often creates profound results. I’m humbled and honored to be the conduit for this asset for humanity.